This just might be the perfect gift, if someone you know has to wear an Id Badge at work. 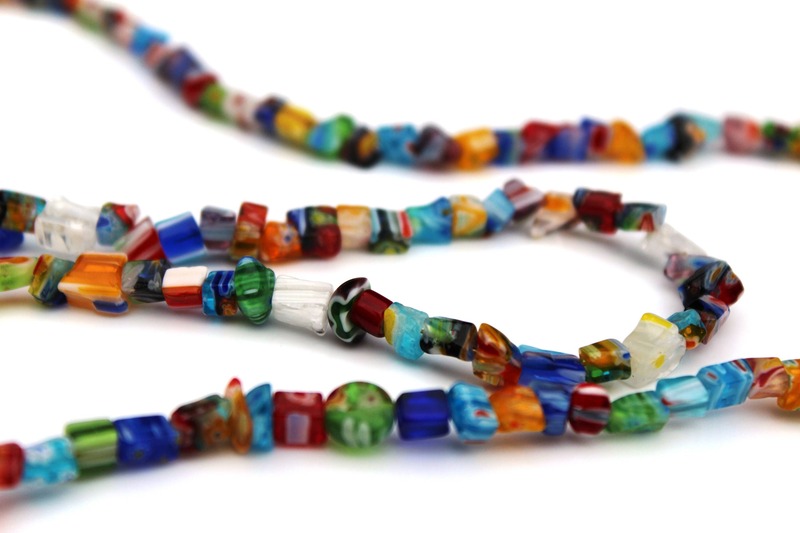 It is colorful, comfortable, and will be a perfect accessory to any dress code! 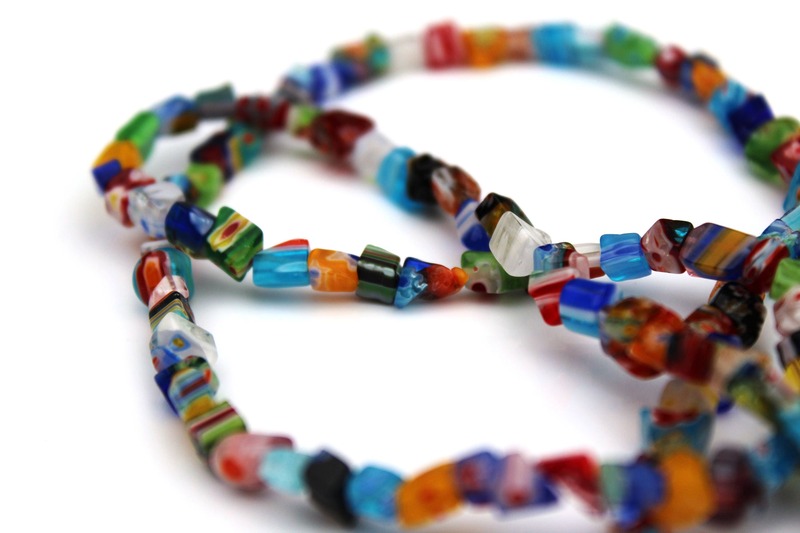 Millefiori beads are known to be so vibrant and full of color. 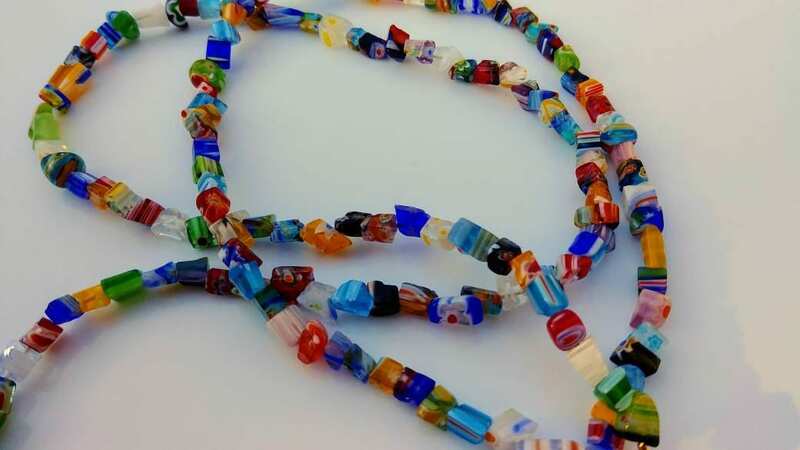 The process used to make them, involves rolled canes of glass that ensure their color can be found throughout the bead and not just on the surface. 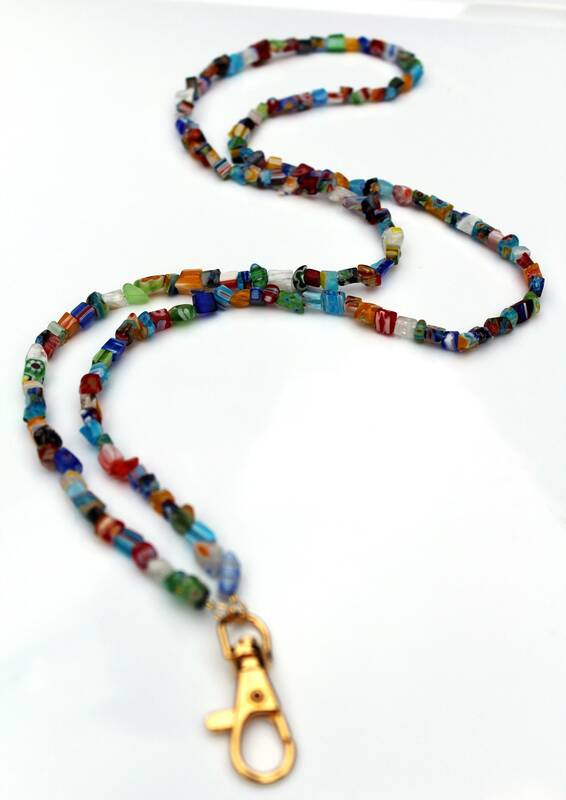 This beaded lanyard is approximately 33 inches long without the clasp at the end. The clasp in the photos is gold, if you'd prefer silver, just add it in the notes section when you check out. Take your dull and unfashionable Id Badge, and turn it into a fun and attractive piece of jewelry! Loved by high school and college students too! 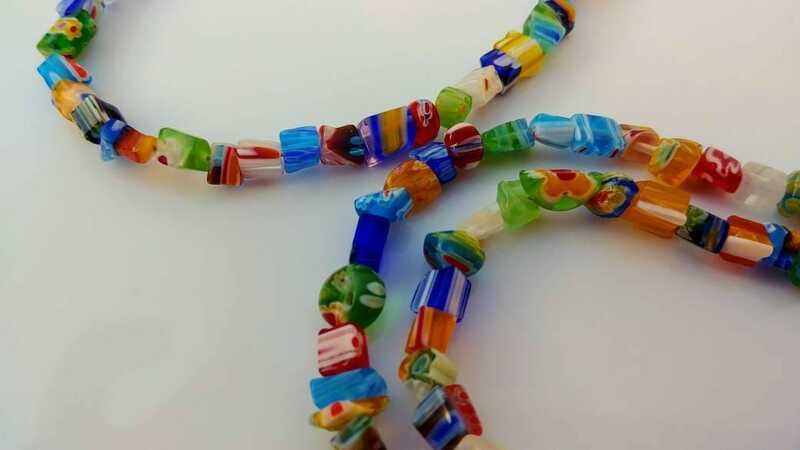 Please Note: Bead sizes, color, and order will vary. 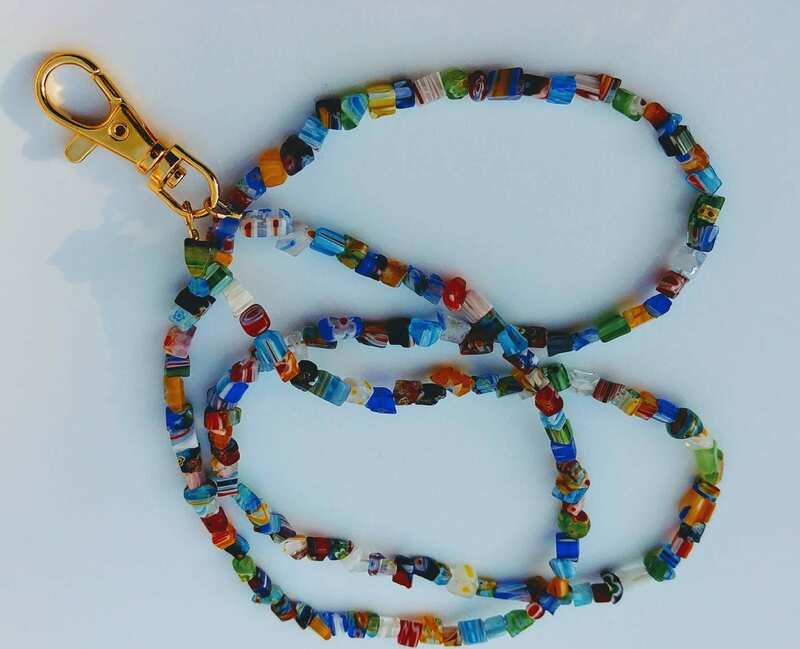 Each lanyard is unique because every bead chip is unique. I am so pleased with this lanyard! It is well made, very unique -- and even prettier in person :) I would definitely buy from this seller again. Thank you!! 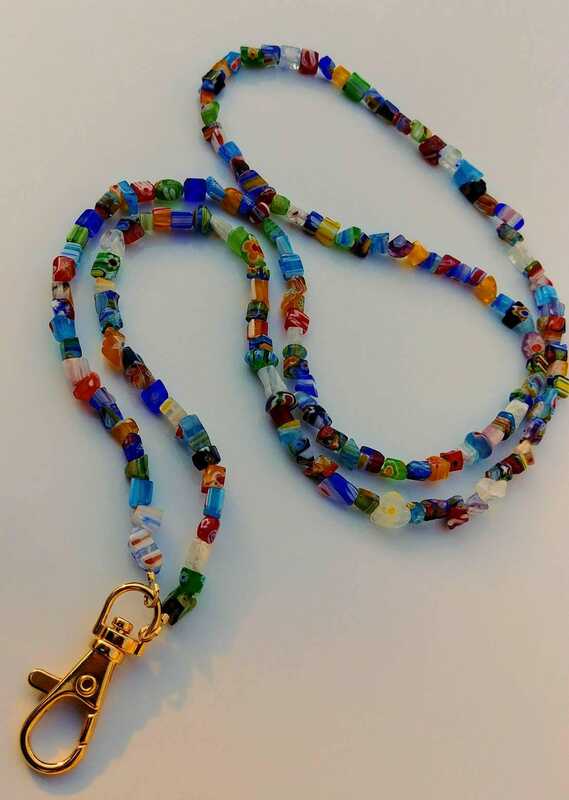 Bought this as a gift for my mom because she has been looking for a beaded lanyard for work but hasnt had any luck finding one. She is going to love it! Shipped fast and came packaged in a jewelry box so it will make giving it as a gift much easier. 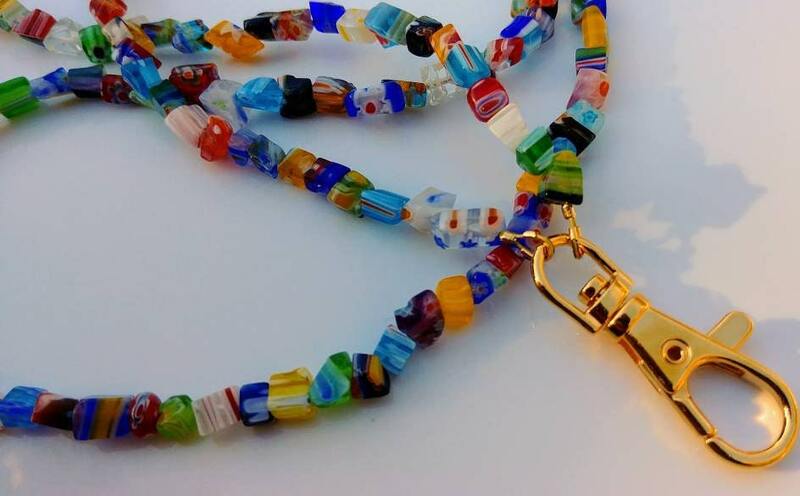 A colorful alternative to a boring work lanyard. I love it!